“On occasion, the Emperor in his benevolence, will declare a Tournament of Champions, where the best in the realms come together and do battle on the honorable fields of combat. While this usually happens during times of heightened civil unrest, we assure you that this is a coincidence and not an attempt at a distraction.“ – The Emperor’s Guide to Thandar. So you’ve decided to run a Hero Realms tournament! That’s a great decision, and we hope that it goes gloriously. 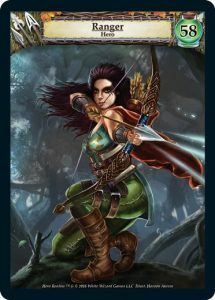 We here at White Wizard Games have a good amount of experience running tournaments of all kinds, and while Hero Realms is still fairly new, we have quite a few of those under our belt. 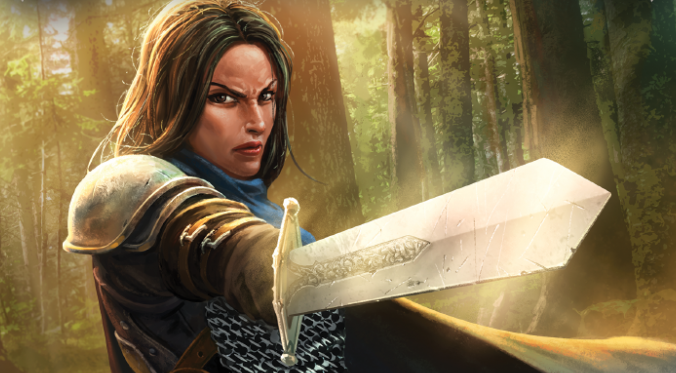 In this article, we will talk about how we run our larger events (Legend Series and 1K), and we’ll also give advice on things you might change for a smaller in-store event. You’ll obviously need 1 copy of the game for every 2 players. A store may be reluctant to provide more than one or two of these for tournament play, so it’s reasonable to ask players to bring a copy with them. If a few players don’t own the game, that’s fine, as long as at least half of the players have a copy. Entry fees can be tricky. You want to have good prizes, but you also don’t want the entry barrier set too high. You could consider a free entry tournament to try and get people interested, but you wouldn’t have a prize budget. A high entry fee (over $10) would give you a decent prize pool, but most casual players won’t be interested. $5 is probably what you want to go for, but you know your local players better than we do. It’s generally best practice to put the entry fees back into the prize pool. For in-store tournaments, you can convert the prize to store credit. Most stores don’t profit from tournaments themselves, opting instead to make their money from drinks, sleeves, snacks etc. If you are a player, you can volunteer to run an event at your local store. If you are able to foster a fun and competitive environment, a store will usually be happy to host your event. HOW MANY ROUNDS? HOW DO WE RUN THIS? If you have a small number of players (4 or 5), it’s probably better to have everybody play everybody (round-robin), and once each player has faced each other player 1-on-1, compare their records to determine the winner (or the playoff). For larger amounts of players, you’ll need tournament software. We recommend Matchslip which is the software we use for all White Wizard events. It’s a free download, and free to use. Download the software from their website to run your events. Matchslip also has some cool online functionality (including real-time online results). Now you’ll need to pick a format. 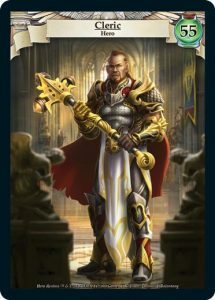 For the Hero Realms Legend Series, we did a single-game Swiss tournament with a 30-minute time limit. We didn’t use Character packs for the Swiss rounds, but we did for the Top 8. If you have 6 or more players, the Swiss system is the best way to go. It’s the fairest, and the most common among the nerdier of the card games (and thus will probably be familiar to your customers). We chose a 30-minute time limit after observing that the average game of Hero Realms between players that had at least a medium level of experience (a dozen games or more) usually took around 20 minutes. You can use a longer time limit to account for slower, precise players (and new players) if you prefer. At the end of the time limit, the player whose turn it was finished their turn normally, and then each player got one full turn. If the game was not over after those two extra turns, the match was a draw. While we opted for single-game matches, you can do a best-of 3 series to determine the winner (the first player to win 2 games wins the match). If you do this, we recommend a 60-minute time limit per match. If game 2 is a draw, the winner of game 1 wins the match. Legend series did not allow Character packs in Swiss rounds. This was to reduce logistical complexity for a tournament of 70+ players, and games tend to take 50% longer when Character packs are used. For these reasons, we recommend that you don’t use them for regular rounds unless you have the tournament space for a long time and/or you have a low amount of players. For the top 8, the matches were best-of-3 with no time limit. We chose to do this because the Legend Series is the top tournament for Realms games, and we didn’t want a champion determined by a time limit. However, one of our semifinal matches at Gen Con 2017 took 2 hours, so you may not want to go this route. If you want to do playoff rounds, choose a number that works for your event. If you have 8-13 players, just cut to a top 4. You generally don’t want to cut to a number of players that is considerably more than half of the total. We will usually have 14+ players be a top 8 cut, anything less is a top 4 cut. -For time limits, single-game matches should be at least 30 minutes, best-of 3 matches should be at least 60 minutes. -Top 8/Top 4 matches are usually best-of-3, but the decision is yours. -Be aware that the average game is about 20 minutes without Character Packs, about 30 minutes with Character packs. Keep this in mind when deciding how many games per match, and what your playoffs will be. Running an event can be intimidating if you haven’t done it a lot (or at all), and one of the potentially scariest parts is having to answer rules questions and solve errors or disputes. The Hero Realms rulebook is the best resource for rules questions (we have had almost zero questions in our tournaments). Most of the time, judging in Hero Realms involves fixing errors. 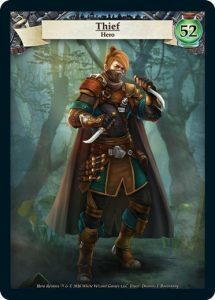 The most common rules question we have dealt with is: “If I play a card that makes 4 combat and I stun a champion with 3 defense, what happens to the extra 1 combat?” to which the answer is: Combat is a resource, just like Gold. You spend it to stun champions and damage your opponent, and you can spend it as you like. In this case, you spend 3 Combat, and then you have one left over. Generally, you should fix an error if you can, unless too much time has passed. For example, a player accidentally shuffles a Champion back into his deck when it should be in play. If the player is still shuffling their deck, you can fix the error and have them fish it out. 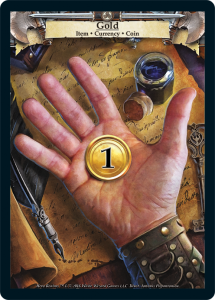 If the player has drawn their new hand, it’s probably too late to fix. As always, use your judgment. Keep it fun, and keep it fair. We will have answers! If you have a question about tournaments (or anything else) you can message or post to the official Facebook group, or the Facebook fan group. There is also the BGG forum, or even the Hero Realms subreddit. Above all, your tournament should be a fun, welcoming, and inclusive environment. And while all your players are having fun, don’t be afraid to have some fun yourself!